Silver Oak Cellars is a family-owned, California winery dedicated to producing only Cabernet Sauvignon. Silver Oak was established in 1972 by Ray Duncan and Justin Meyer. It is currently operated by Ray's sons David Duncan, who serves as the President and CEO, and his brother, Tim Duncan, who serves as Executive Vice President. 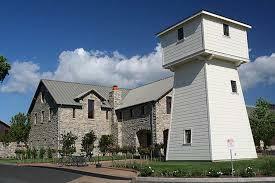 Silver Oak has two wineries; one in Oakville in the Napa Valley and one in Geyserville in the Alexander Valley. The Duncan Family also established Twomey Cellars in 1999, named after Ray Duncan's mother, where they produce Pinot noir, Merlot and Sauvignon blanc. Twomey has wineries in Calistoga and Healdsburg. A fragrant nose of dark cassis and baking spices. On the palate, abundant flavors of rich mountain berries, blackberries, spicy oak, and hints of leather intertwine beautifully with the wine's mouth-coating texture. The silky finish is generous and long. "Napa Valley Cabernet Sauvignon has a dark garnet color and a rich, complex nose of boysenberry, truffles, sandalwood and allspice. It has a great attack, a silky mid-palate and a very long finish with grainy tannins." Wine Enthusiast 91 " It’s easy to see why Silver Oak remains so popular with the restaurant crowd. It’s made in a more restrained style than many other Napa Cabs. There’s plenty of berry and currant fruit as well as oak, but it’s accompanied by tobacco and herbs that give the wine an earthiness. Stephen Tanzer 91 Stephen Tanzer's International Wine Cellar, May 12 Bright dark red. Complex, lively aromas of cherry, licorice, chocolate, tobacco leaf and spices. A juicy, spicy midweight with excellent tension and finesse to its youthfully imploded fruit, spice and chocolatey oak flavors. Stephen Tanzer 91 "Good deep red-ruby. Musky aromas of cassis, licorice, game, tobacco leaf and subtle brown spices. Velvety-sweet and deep, with hints of tobacco leaf, mint and herbs giving definition to the middle palate. Nicely bright but youthfully tight wine, finishing with broad tannins.